SEOUL -- The prototype of South Korea's home-made light attack helicopter armed with a machine gun and guided anti-tank missiles was released after years of development based on European technology. 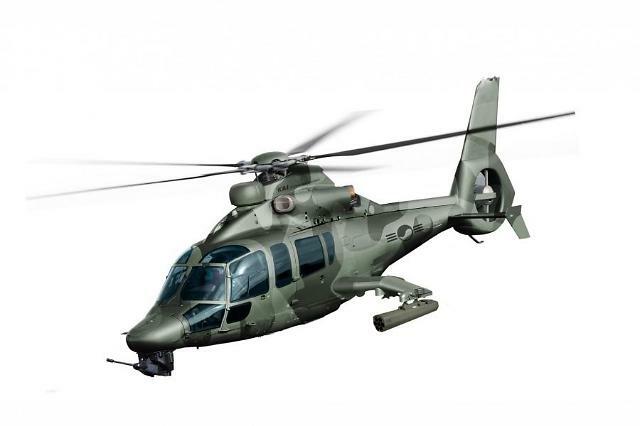 It is the first light armed helicopter (LAH), developed by South Korea's sole aircraft maker, Korea Aerospace Industries (KAI), to replace an aging fleet of MD500s and 70 AH-1S Cobra. 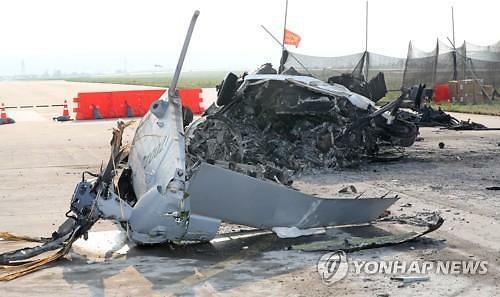 The prototype was shown in a ceremony Tuesday at KAI's headquarters in the southern city of Sacheon. 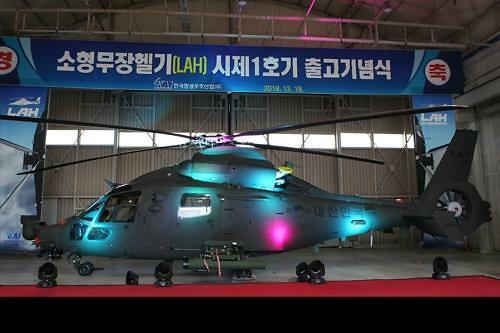 "LAH is a major achievement in the domestic defense industry because it is a highly maneuverable helicopter with advanced navigation equipment," Vice Defense Minister Suh Choo-suk said in a speech. LAH is based on H-155, a twin-engine helicopter created by European aircraft maker Airbus. Development, which began in June 2015, will be completed in late 2022. 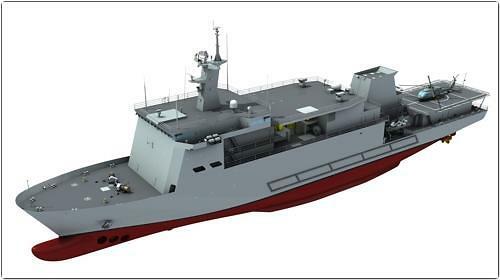 Development of the light civil helicopter (LCH), a varient of LAH, will be completed in 2021. It is capable of carrying up to 15 people. KAI has developed Surion, a twin-engine transport utility helicopter, with technical help from Airbus Helicopters. Development was completed in 2012, but the Surion has exposed various defects.